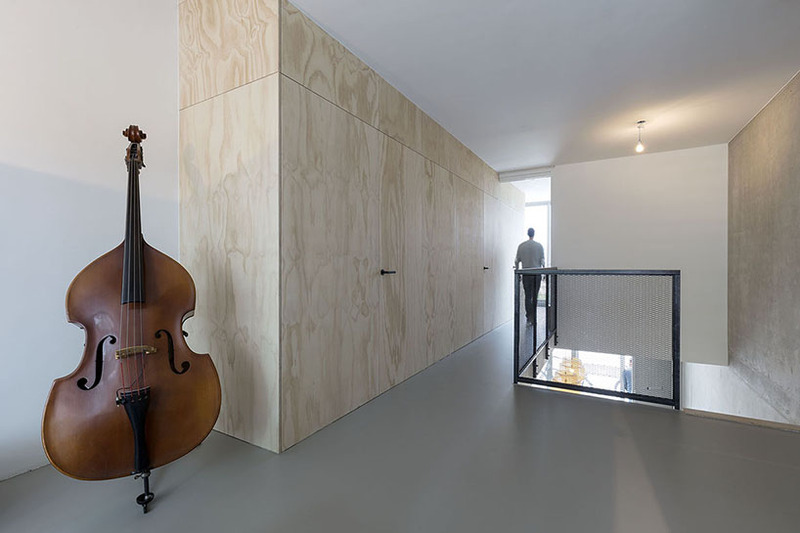 designed as an open building, ‘superloft blok y’ forms part of the ongoing superlofts project, started by marc koehler architects (MKA), focused on flexibility, participation, and adaptability. 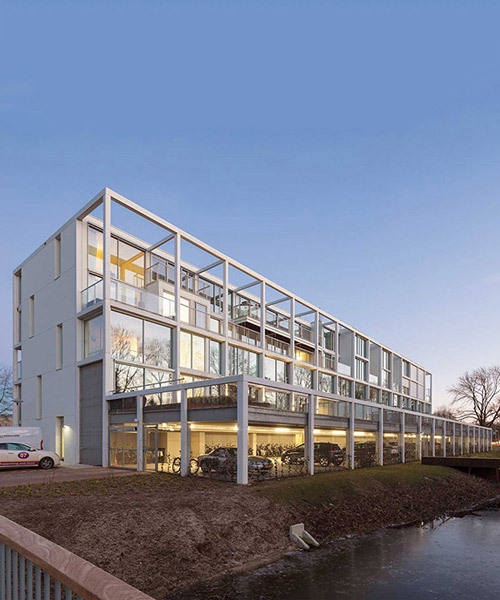 the initiative offers the owners to customize, design and build their apartments and shared spaces together to make sure everybody is happy with the result. 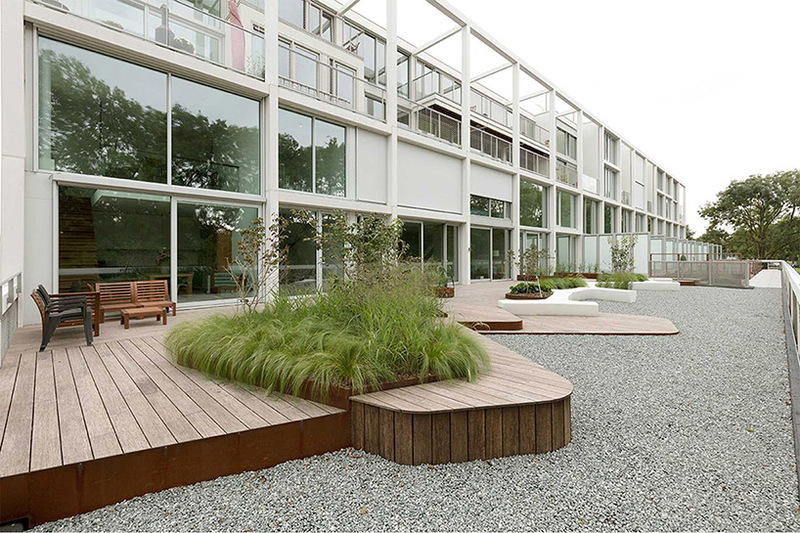 following this idea, the project results in radical flexibility, collective character and high level of sustainability. 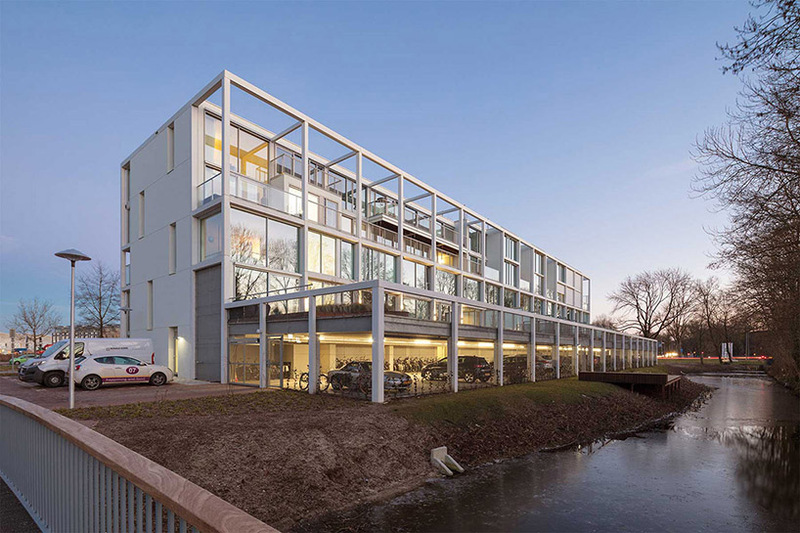 MKA’s five-story building comprises a base framework that is independently fitted out by the inhabitants. 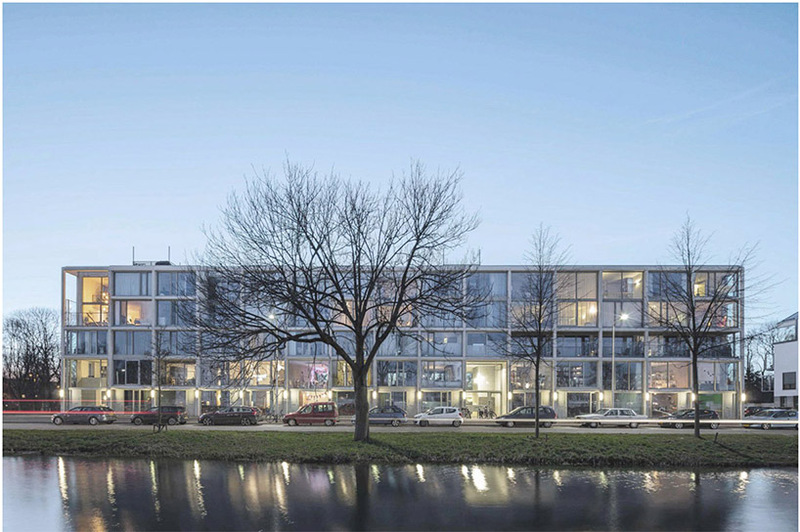 blok y combines 30 superlofts in 5 types — from XS lofts (70 sqm) to family lofts (145 sqm) — resulting in a rich diversity of dwellings and mixed community. homeowners have completed completely raw spaces by themselves or together with the architects or customize both the existing floor plan and the exterior. 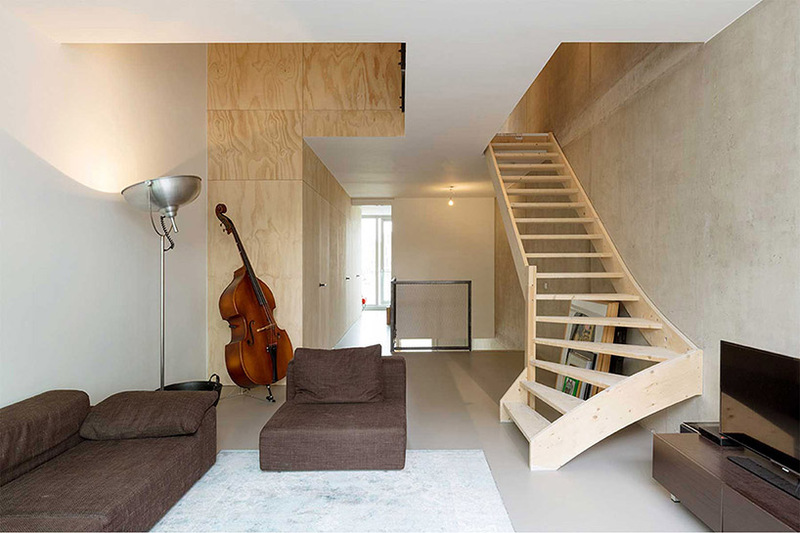 the open concrete framework is organized into varying loft formats with two or three floors, single or double facade, with a roof terrace, balcony, or garden. 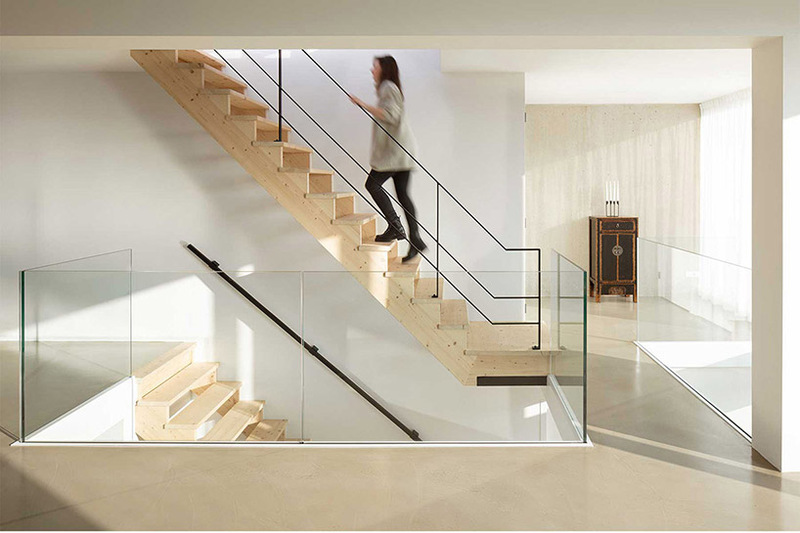 their unique layouts are uncommon for conventional housing, many designed to flexibly accommodate future change, for example, by incorporating a, elevator or flexible partitions to reconfigure the interior once the kids leave home. 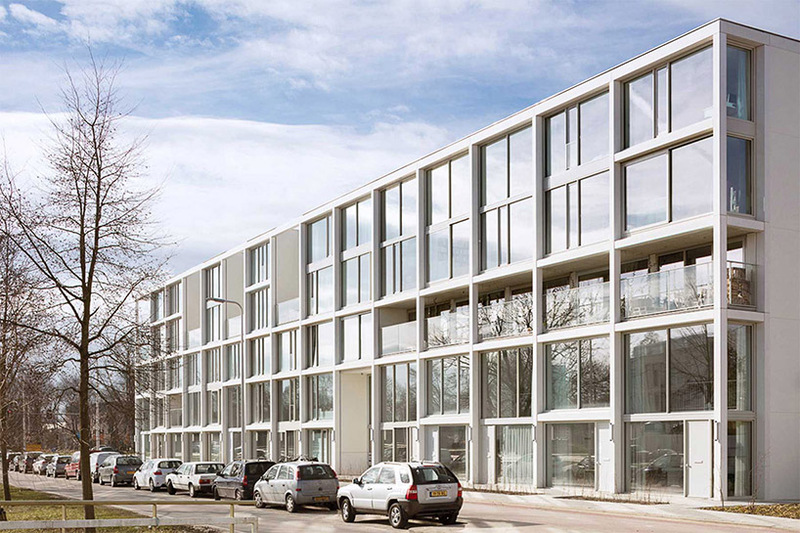 the façade is a simple but strong expression of the concept — the interplay of the fixed concrete grid and variation in details from the customized façades results in a robust, dynamic building that reflects the diversity of its community. 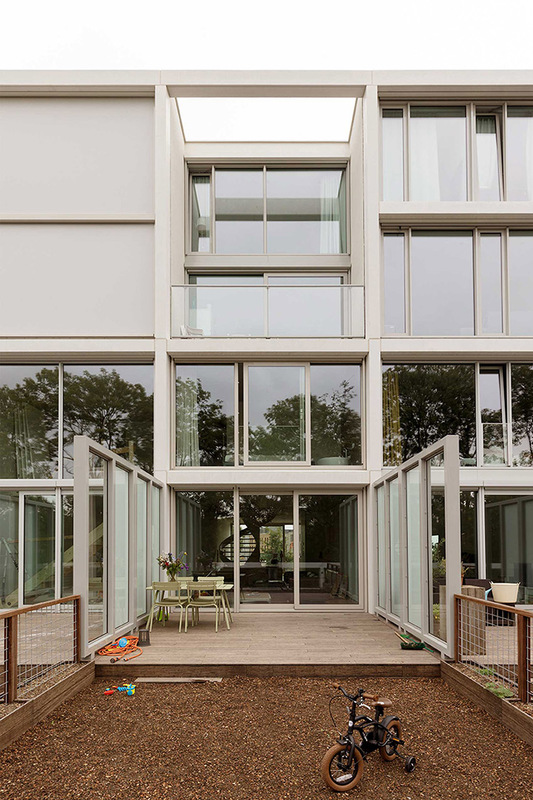 the slim concrete grid is filled in with a framework of double-height windows that bring light deep into the apartments. 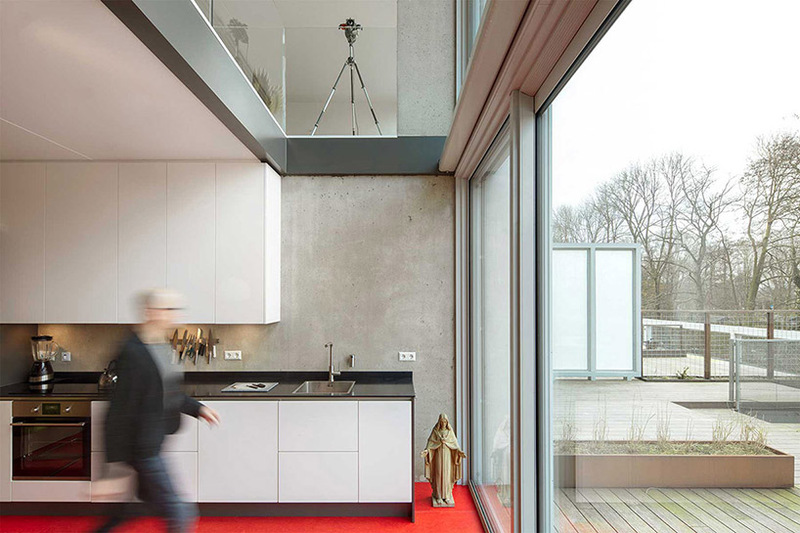 a lively façade composition is the result of the varying loft exteriors, with their different entrances, balconies, and window configurations. by night, modules of glowing interiors animate the framework, reflecting the changing activity within.